Negotiations were paused on Sunday after the two sides failed to agree on how to deal with the United Kingdom's only land border with the EU. The move comes less than six months before Britain leaves the bloc and days before May heads to Brussels for a Wednesday summit where both sides hope to make progress. May was is set to make a statement to Parliament later on Monday. May, who has said repeatedly that she could not countenance the breakup of the United Kingdom, is struggling to find a way to satisfy the demands of not only the EU, but of her Conservative Party and partner in Parliament, Northern Ireland's Democratic Unionist Party (DUP). There has been little success in narrowing the gap between those competing demands, and Ireland's Foreign Minister Simon Coveney said any deal would now "take a bit more time than many people had hoped." But a spokesperson for May said there were "a number of means of achieving what we want to achieve" on the backstop. He declined to give details and repeated Britain's view that any such arrangement would be time limited. "We are not going to be stuck permanently in single customs territory unable to do meaningful trade deals," he said. Over the weekend, EU diplomats said London had urged Brussels to accept assurances that Britain would effectively stay in a customs union with the bloc to make the backstop unnecessary. The EU said it would need an insurance policy. 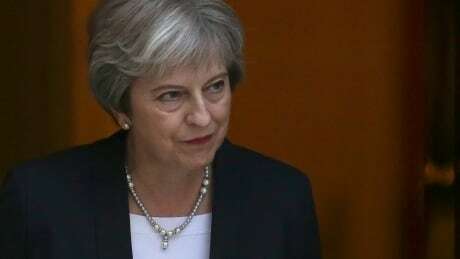 Much will depend on whether May can sell any deal to her Conservative Party and the DUP, which has threatened to pull support from the government if she agrees to different rules for the province. Sammy Wilson, the DUP's Brexit spokesperson, said it now believes a no-deal Brexit was almost inevitable, and described the talks in Brussels as turning into a "battle for the union." "Given the way in which the EU has behaved and the corner they've put Theresa May into, there's no deal which I can see at present which will command a majority in the House of Commons," Wilson told the Belfast News Letter. May's former foreign minister, Boris Johnson, the figurehead of Britain's Brexit campaign and one of the bookmakers' favourites to replace May, was equally critical. "In presuming to change the constitutional arrangements of the United Kingdom, the EU is treating us with naked contempt," he wrote in the Telegraph newspaper. It was that kind of opposition that made it impossible for Dominic Raab, May's Brexit minister, to agree to a deal in Brussels on Sunday. British officials said London could not agree to Brussels' demand to have "a backstop to a backstop," which would see the EU's proposal to keep Northern Ireland in the bloc's customs union if a new trading relationship is not in place in time. Britain has long said it wants an agreement on a future relationship with the EU, which London sees as including a common rule book for manufactured and agricultural products, something that would negate any need for a backstop plan for Ireland. But British negotiators also say they will honour a commitment to a backstop. This year, the government suggested Britain could apply the EU's external tariffs for a limited period in case of any delay in implementing a Brexit deal. EU negotiators have criticized that proposal, and said on Sunday it was clear that, as things stood, May did not feel she could get a deal through her cabinet, which meets on Tuesday. EU officials and diplomats say they will "keep calm and carry on," hoping May can sort out her problems in London. British officials were optimistic they'd make some progress at the EU summit this week, with Foreign Minister Jeremy Hunt telling reporters in Luxembourg: "There are one or two very difficult outstanding issues, but I think we can get there. Whether we do this week or not, who knows? But I know everyone is trying incredibly hard."